Some days are busier than busy!! 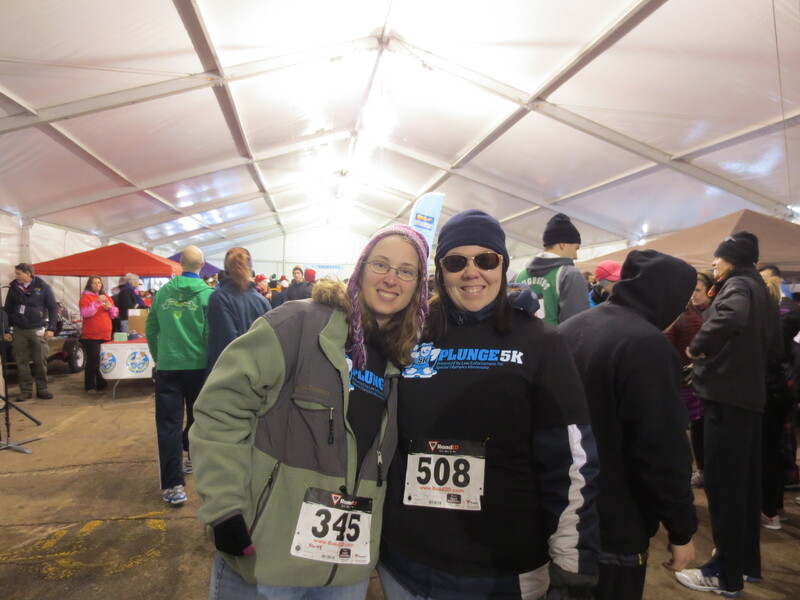 On March 2nd, I started the day bright and early by walking the Polar Plunge 5K. I met my friend Jen Timmerman (@JenUMN) at the parking ramp in Minneapolis. We didn’t realize until that morning that the shuttle buses didn’t start until 8am. We wanted to be at check-in by then, so we proceeded to walk the 2 miles or so to the starting point. It was a chilly morning, but not horrible. 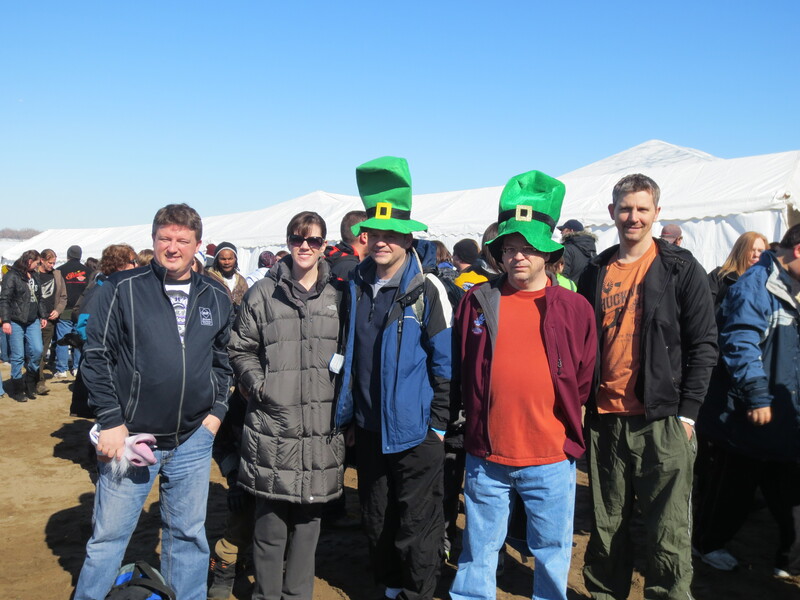 We warmed up in the tent until the start of the event. By the time the 5K started at 9, temps were approaching the teens. As we walked and chatted, the 3+ miles went very fast. We barely noticed it was still winter! 😉 We finished walking the 5K in less than an hour. By the time we were done, we had walked a little over 5 miles total for the morning, and were ready for a break. Little did we know that the shuttles taking people BACK to the parking areas were just getting started… we waited almost an hour for the shuttle to come. On a day with an already tight schedule, that was a stressful wait for me. As soon as we were done at the Polar Plunge, it was time to race to the dance studio for pictures. I attempted to do Grace’s makeup in the car on the way, but that’s just a bad idea. Attempting eye makeup while riding on pothole-ridden MN roads in the winter doesn’t go well. We got the the studio by about 3ish, where I quickly finished her makeup and did her hair. There was a bit of bickering between Grace and I (I guess she gets my lack of coping skills when it comes to being highly stressed and rushed). We ended up just on time, and pictures went well. 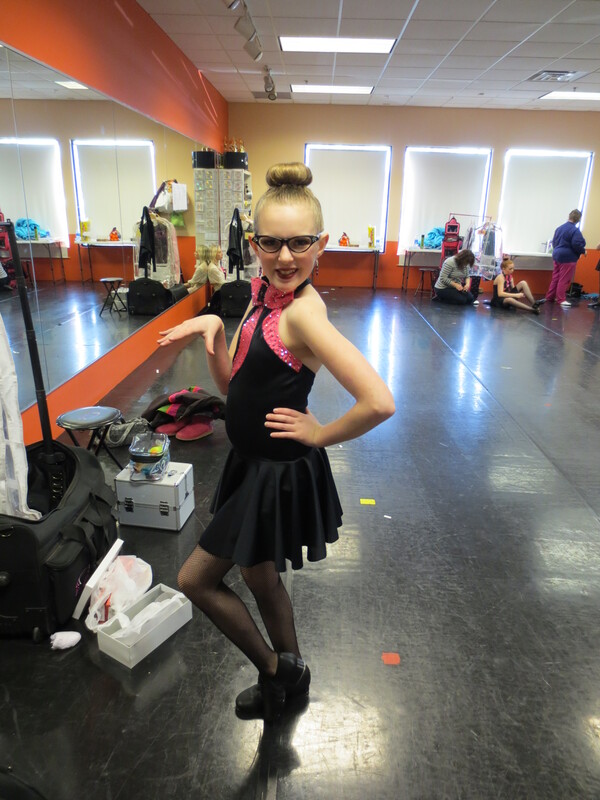 With 3 costume changes (thank God no hair changes were required), we finally finished up only a little behind schedule. By the time we got home, we were all exhausted and went to bed early. Phew, I’m wiped out just thinking about it. Thank goodness we don’t have many weekends like that! !